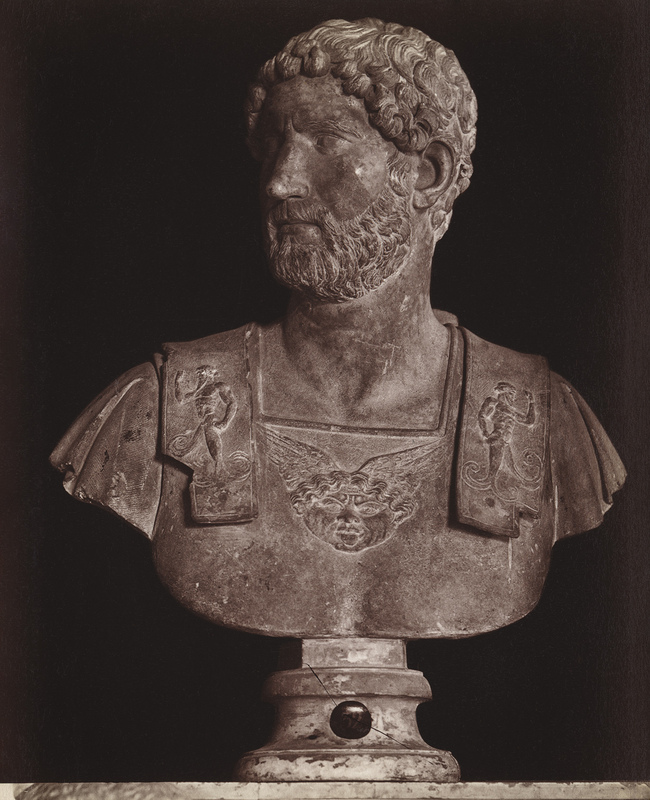 Aelius Hadrian, the adoptee of Trajan. Photo album of sculptures of the Capitoline Museums (second half of the 19th cent.). St. Petersburg University’s chair of ancient history (inv. no. 121). Photo no. 32 (10.5 × 14 cm). Inscription on the photo: 32 — ELIO ADRIANO ADOTTATO DA TRAJANO. Number on the base: 32.